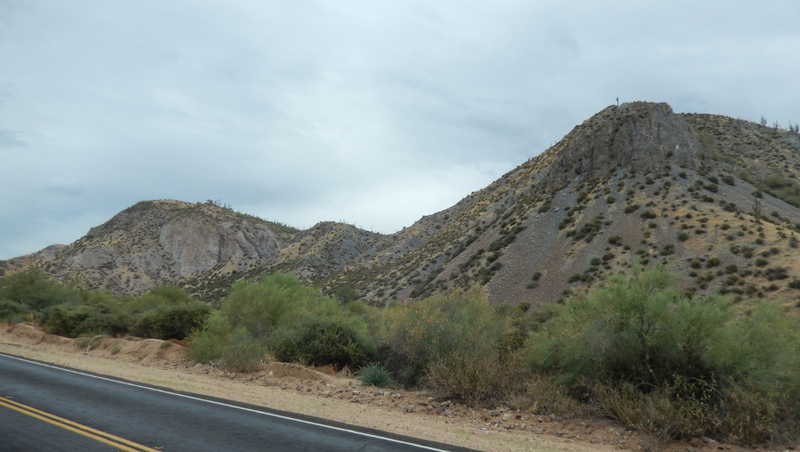 This is a cool spot at which to find pieces of the lower crust that lies beneath central Arizona (the bottom of Arizona!). 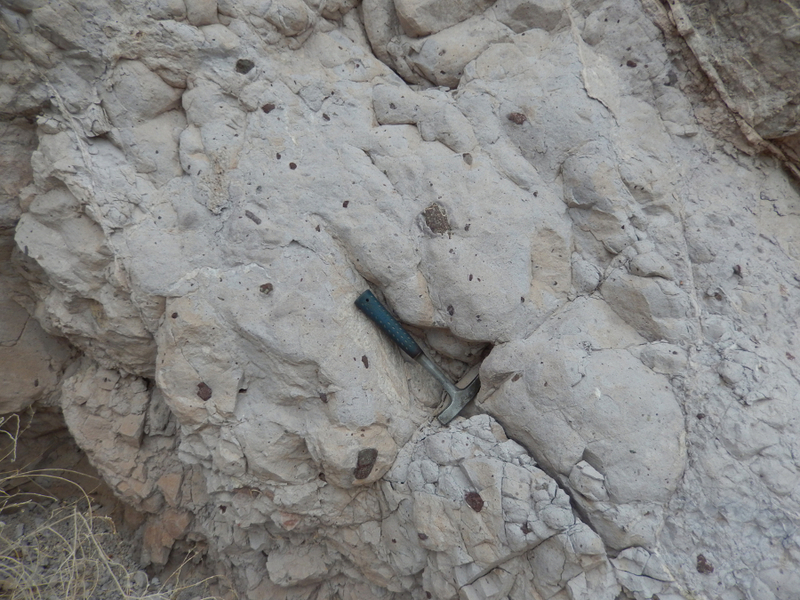 These nodules were brought up as xenoliths in the Camp Creek Latite, which forms the distinct cliffs of Blue Mountain immediately south of the road to Bartlett Reservoir. 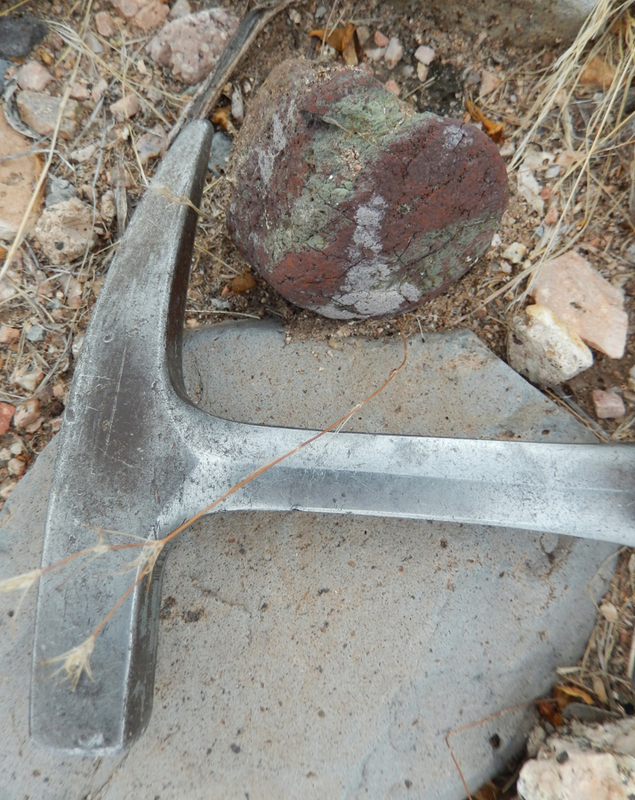 Eclogite (an ultra-high-pressure metamorphic rock comprised of garnet and clinopyroxene) is the most common xenolith type, but amphibolite, clinopyroxenite, and phlogopite-rich nodules are also present. These lower crustal rocks (probably originally from about 35 km depth) have been interpreted as being formed during a Proterozoic crust-building event (probably during one of the great terrane suturings of the Paleoproterozoic) and being subsequently metasomatised (altered due to some kind of fluid-driven metamorphic process, possibly associated with subduction of the Farallon Slab). The xenoliths are generally quite rounded, almost like stream cobbles (although they clearly are not stream cobbles), and they are dispersed randomly throughout the latite flow(s). 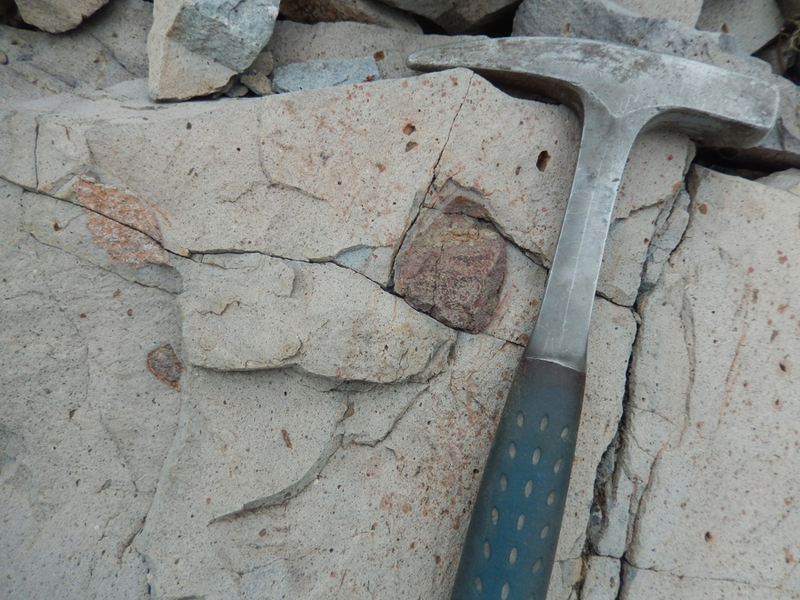 The mode xenolith size is about 1 cm, although much larger samples can be easily found within the latite and as loose cobbles in the washes at the base of the talus slopes. The constiuent garnet appears to have largely been altered to an indistinct dark red groundmass, but phlogopite and green clinopyroxenes are still readily discernable. 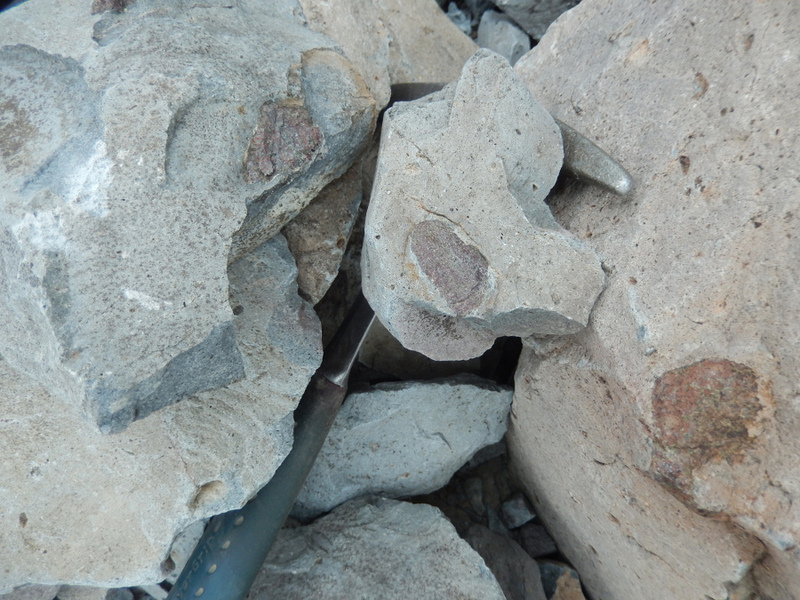 You can find these interesting lower crustal xenoliths by pulling off of the Bartlett Dam Road between mileposts 3 and 4 and walking up to the talus slopes and cliffs of Blue Mountain. If you feel so inclined, climbing up to the cliffs will allow you to see the abundant in situ rounded xenoliths that were entrained in the erupted latite. 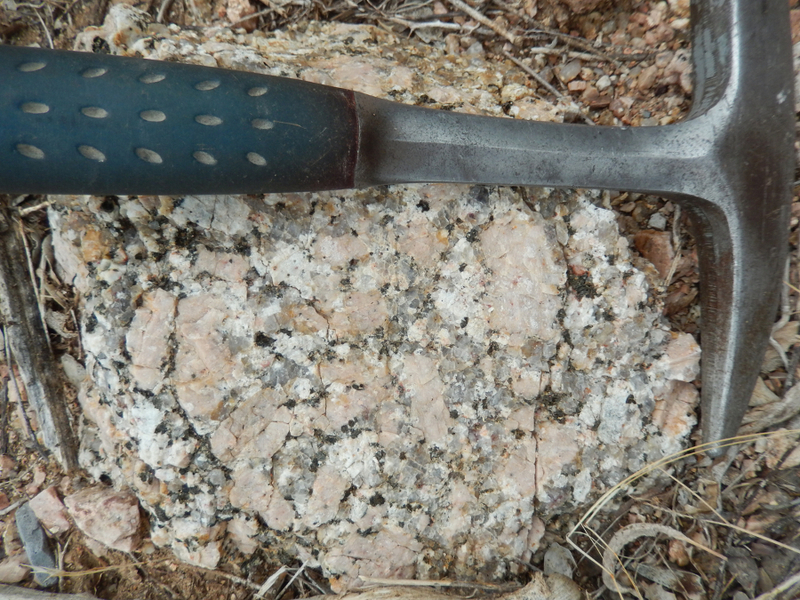 The latite was emplaced over a Precambrian A-type granite (rich in pink potassium feldspar), which is rather visually appealing and which can be found in the washes in this area as well.